Dan has a bad time with Travis Touchdown and is still recovering. There are few personalities in the gaming industry as unapologetically bonkers as Suda51. The man's mind is an unhinged cacophony of crazy thoughts that sometimes struggle to make the transition from his imagination to a cohesive final product. 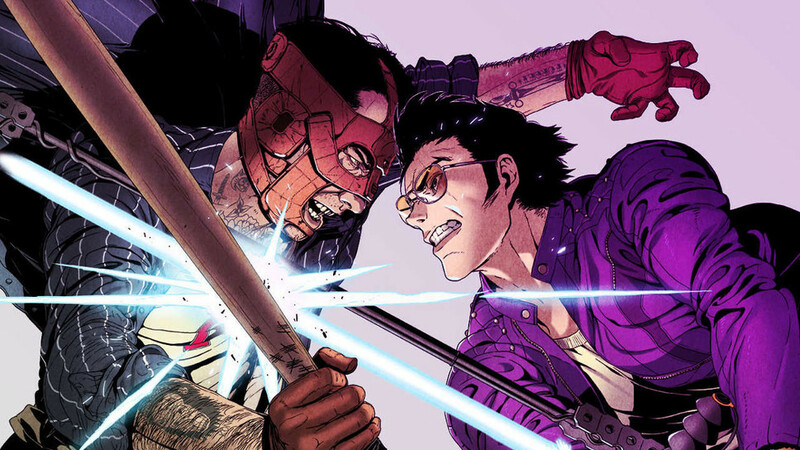 Travis Strikes Again: No More Heroes is a major departure from the core series and feels like the product of a drunken focus group of people who have never played a game before. 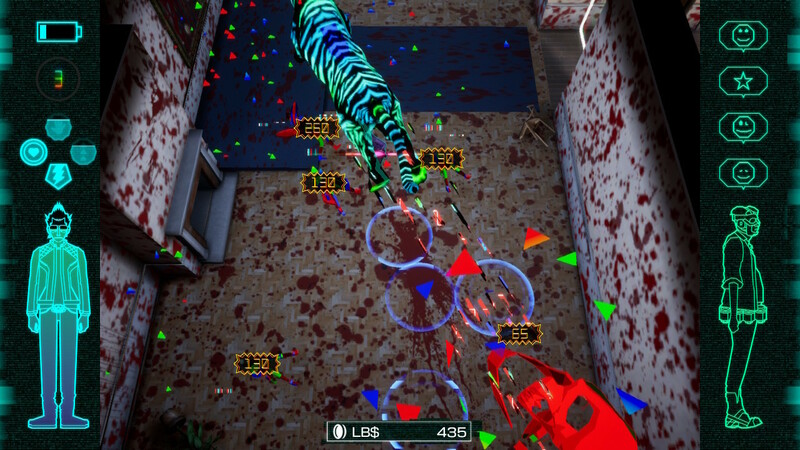 The game feels like a cursed relic from a terrible b-grade horror movie. Taking place seven years after No More Heroes 2, Travis Strikes Again sees Bad Man coming for Travis Touchdown to seek retribution for the murder of his daughter Bad Girl. 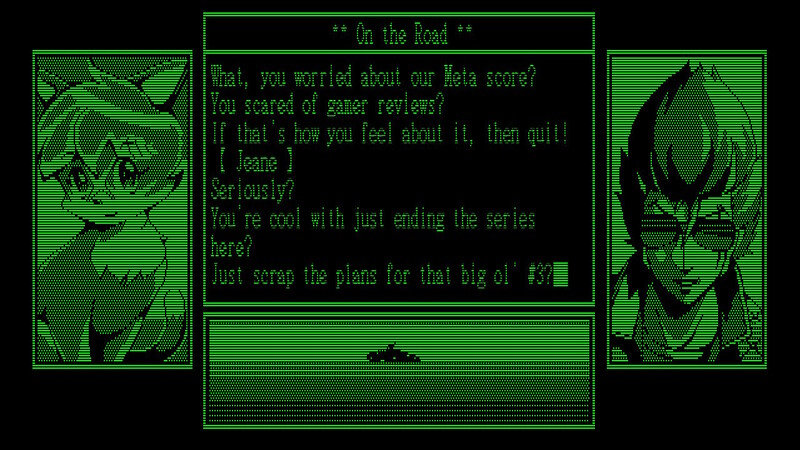 After a brief clash, Travis and Bad Man are transported into a cursed game console called The Death Drive MK II. 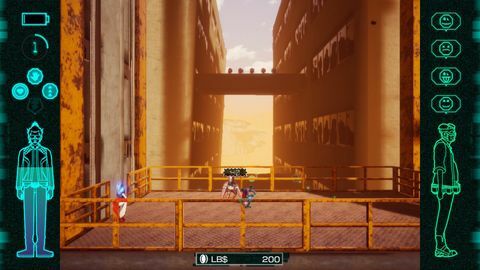 From here on out, you'll have to work your way through six different games that aim to mix genres and play styles. See how I said "aim"...yeah they missed the mark. The game feels like a cursed relic from a terrible b-grade horror movie. Some of the more obscure cutscenes are a bit of schlocky campy fun, but they don't make an awful lot of sense. I suppose I shouldn't be looking for sense in a Suda 51 game, but it sure would be nice if it were compelling enough to keep me interested in the story, even if it fails to do so from a gameplay perspective. The game features unlockable t-shirts, but these are pointless as you rarely see them during gameplay. Their effects are entirely cosmetic and are almost completely covered by the character's jacket, not to mention the camera that can never quite decide what it wants to do. 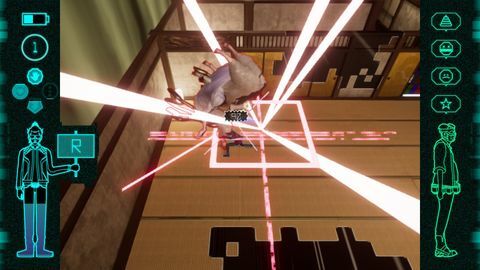 Each of the games devolves into dull hack n slash escapades through mundane levels where the camera is often so far zoomed out that it becomes a challenge to see the action unfolding on screen as you're treated to the view of a high flying bird, minus the eagle-eyes. Combat is maddeningly repetitive and tasks you with holding down the attack button for about a minute before you have to mimic the action of ermmm, "happy alone time", to recharge your blades energy. You can mix things up with a heavy attack and a range of unlockable special moves, but these do little to serviceably mix up the gameplay or present players with an engaging combat system. 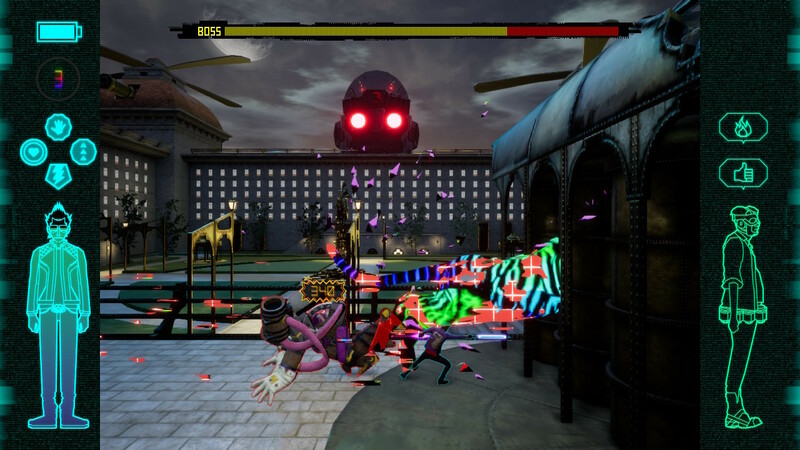 Coming up against regular enemies is often a breeze with the only real challenge coming from the games main bosses. Speaking of enemies, I was not too fond of their designs, with the vast majority looking like half-boiled cutting-floor ideas with most enemies looking far too similar to the other thousand you've already cut your way through. The only saving grace with the enemy design comes in the form of the games main bosses, with each of these having a distinctive, unique look. Travis Strikes Back's main story is presented in old school black and green text screen similar to the old codec conversations from Metal Gear Solid. These also feel like they go on for too long on occasion. There are some excellent references at times, and I did admittedly chuckle at the odd joke, but the wacky sense of humour combined with a strange desire to present players with overly-edgy, cringey text mostly left me confused and entirely uninterested. I have to admit that once I passed the half-way mark, I stopped paying attention to these dialogue-heavy parts and just mashed the continue button to get to the end. It genuinely started to feel like I was being punished for playing. Unfortunately getting to the next game doesn't do much to dissuade the strong feelings of monotony prevalent throughout the entire game. I had an odd time with Travis Strikes Back and feel that I should mention that for the first time in my gaming life, I had to take regular breaks every hour, as I could feel my heart rate increasing and found myself feeling the strange effects of anxiety. It's hard to describe how it made me feel, but it wasn't fun at all, and I'm going to do everything I can to avoid anything like it again. It honestly felt like I was stuck in some bizarre video game groundhog day where I had to repeat the same things over and over again ad nauseum. Unfortunately getting to the next game doesn't do much to dissuade the strong feelings of monotony prevalent throughout the entire game. Levels wear out their welcome long before you reach the end, with each 'unique' Death Drive game feeling drab, repetitive and lacking any real distinctive character. Take for instance a level in which you are tasked with entering random doors in a large mansion. Some of the doors are locked off until you meet certain criteria in the mission, which ends up devolving into a painful hunt for the next door that brings the level closer to its end. I ran around for far longer than I should have to look for the next door as the game does nothing to assist you in locating your next checkpoint. The cel-shading from the first two games is back and looks as dated as ever. There is an annoying blue outline around Travis throughout the entirety of the game. This combined with the baffling decision to not make use of the full real estate offered by the Switch's lovely big screen, by having black bars on both sides of the screen, making it look like you're playing on a television from the pre-widescreen era. There are so many questionable design decisions in almost every aspect of Travis Strikes Again, that I struggled to make it through to the end. It's been said that for a true sequel to No More Heroes to be made, this game needs to sell. It's a massive shame for the future of the mainline games to be dependent on the success of whatever this game is. I can't help but feel that it would have been a stronger decision to remaster the first two games for the Nintendo Switch. At least that could have introduced a wave of new players to the wonderful, wacky world and gameplay on offer in those titles. As it stands, Travis Strikes Again: No More Heroes doesn't respect your time and will be a maddeningly frustrating exercise in tedium for most. There are little to no redemptive qualities throughout, and I can't help but feel that this title should never have seen the light of day. Or at the very least, it should have been a $20 game on the eShop. If you're looking for a fun new action game on the Switch, keep looking as there are a ton of great games (cheaper too) that better deserve your attention and hard-earned money. I struggle to even recommend this one to fans of Suda51 and his uniquely off-kilter game design ideals. Ups The game can look ok when the camera isn't a mile high in the sky. I'm struggling to think of anything. It has an end. Downs Where to start? Gameplay is mundane and repetitive. Dialogue is so cringey it's bad. Graphics and animation are last-gen at best. Level design is uninspired and feels incredibly copy paste. You have to mimic masturbatory actions to recharge your weapon every two minutes (will be a plus point for some). Enemy design lacks anything exciting outside of the main bosses. Story presented in walls of text is the antithesis of fun. The game literally gave me chest pain.